By the age of one your child is developing a lot of new skills. He’s starting to say his first words and by the age of two will be forming short sentences. He’s taking his first steps and is more mobile. He can now reach for things on his own, jump and run. 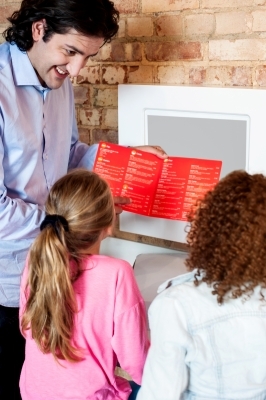 Naturally these changes also reflect on your child’s play and interests. Children at this age start using their play to make sense of their world and how things work. They’re on the first step to imaginative play and enjoy playing with real life objects like pots & pans, brooms, gardening tools etc. He’s also beginning to be good at things and with repetition your child eventually masters that skill and moves on to making it more complex. Toddlers start developing new cognitive concepts at this stage; they start differentiating sizes and noticing if objects are the same or different. Make sure your child has a variety of toys and experiences. You don’t have to use fancy toys or many toys either. Give your child a safe environment so he can explore and practice his new skills freely. If you see your child doing something incorrectly, don’t be quick to interfere and show him the “right” way. Give him a chance to figure out how to do things or develop his own technique. The thinking process is just as important as the end result. At the same time make sure you are near in case your child asks for assistance. Blocks: are a great way to build simple math and counting skills. Children also develop their fine and gross motor skills and eye-hand coordination as they make their towers taller. They are also using their imagination to make a house, a zoo or table with the blocks. Buckets and boxes: children at this age love filling containers and dumping them. Make sure there is a designated space where this is acceptable. It’s fun for kids and helps build their motor skills. Colors and paints: you can make your own homemade paint with water/flour/food coloring so it’s baby-safe. Give your child different textures like cotton balls, glitter, tissue paper and pieces of cloth. Place a big paper for your young child on the floor or place it against the wall. Give him thick and thin brushes, rollers or sponges and watch him explore the textures and create their own art. It’s OK if it turns into an all-black painting in the end. Remember it’s all about the process! Your child is expressing himself which adds to his self-confidence and self-awareness. He’s exploring different textures and as a result learning about their similarities, differences and attributes. Some may be easier to stick than others for example or watching how red and yellow make orange! He’s also developing his motor and language skills as you ask him which color he wants, point to and label the different colors and materials. If you don’t want to make a mess indoors try doing it outside in your balcony or garden or place a bigger plastic tablecloth under our child indoors. Pretend play: provide your child with items that are similar to real life like hats, scarves, old clothes. He might enjoy dressing the dolls in some of his own old cloths not doll cloths. More ideas are wands, cowboy boots, fisherman’s hat or doctor’s kit. These help your child learn about the world by repeating real life situations in play and imagining different scenarios and outcomes. Books: are always useful in multiple ways! You can read with your child or let her read on her own. Toddlers are old enough to learn how to hold a book the right side up and put them back when they’re done. Your child can use stories (with your help) to make sense of new situations like having a new baby or going to preschool. It’s also a great way to look again and again and again at items that aren’t in our direct environment like animals, forests, or the sea. Around 14 months children start playing side by side this is called parallel play. Although they may seem like they are playing together they are not. Their play may be influenced by each other and they may verbally or non-verbally swap items but they have not yet begun to play together. Real sharing and group play starts around the age of three. 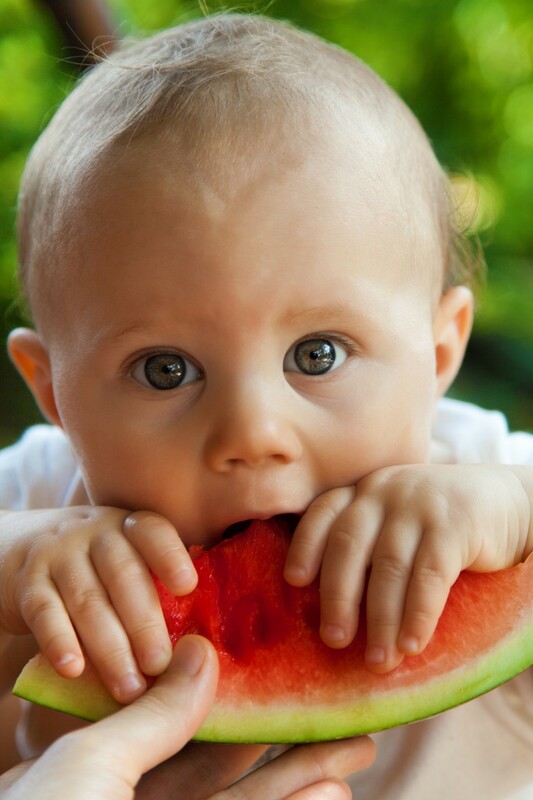 If your toddler isn’t sharing don’t be alarmed or embarrassed. You can try to give him another toy for a few minutes and tell him his turn is next. Make sure you give him his turn within a few minutes! The strong recommendation of renowned pediatric association and child experts is to give no TV time before the age of two because it takes away from real life experiences and in reality may delay children in cognitive and language skills. You can read more about TV here. 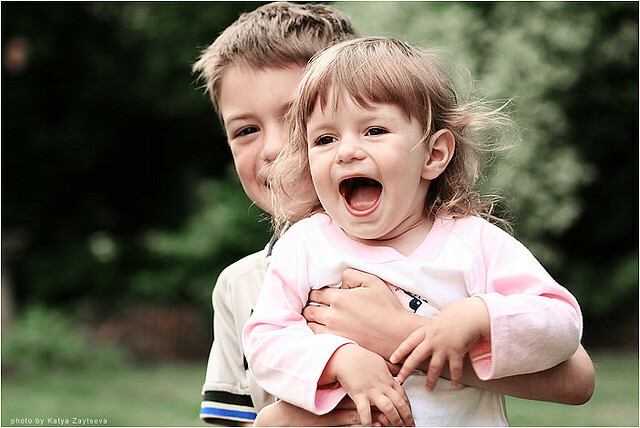 Children play almost all the time and in general besides sleep probably only stay inactive for about an hour a day. The American National Association for Sports and Physical Education (NASPE) recommends at least 30 minutes of “structured” physical play which means it’s initiated and let by an adult such as when you dance or try an obstacle course with your child. And at least 60 minutes of free play where your child gets to do whatever he chooses on his own. It’s important to try to maintain a balance of dictating your child’s play and letting your child take the lead. You might still get to be the princess or prince in his imaginative play. Having kids is a wonderful experience. It can also be quite exhaustive, especially if you are dealing with twins! Twins usually require much more attention and energy than regular siblings. This is normal since you’re dealing with two children of the same age at the same time. That can be a handful sometimes! When you have toddler twins it’s normal that you have a lot to take care of. Everything is doubled. Parents are often concerned about how to treat their twins, should they treat them differently, equally, dress them the same or different? How are twins different than singletons? As toddlers there’s a lot going on with children’s development. They start developing words and sentences. 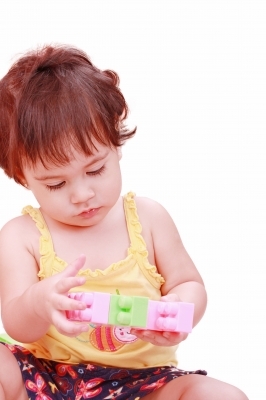 Start playing with other children and by the end of toddlerhood will be starting preschool. Twins tend to develop slightly different than regular siblings. They may be delayed in their language skills. This can be more prevalent in identical twins than fraternal twins. However, this difference disappears by the time children are 5 years old once they start preschool and kindergarten. Although the explicit reasons as to why this happens haven’t been identified, there is speculation that this may be due to the amount of verbal interaction they get with their parents. Research has shown that mother’s verbal interaction with each twin plays an important role in their language development. There is usually a more dominant twin from the pair who tends to be the one more advanced socially and verbally. 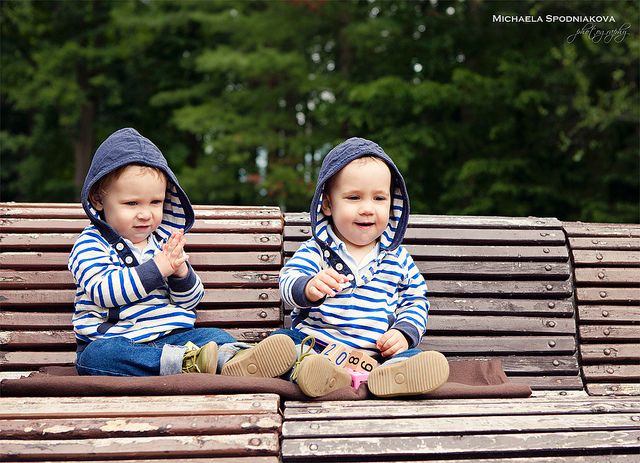 Twins also tend to play together more than other siblings. As a result, they may have less social interaction with other children or adults. This may also account for delayed language acquisition. Toddler twins are even known to develop their own “secret language” among themselves made up of simplified sounds and words. This behavior is quite normal for twins. These language distortions disappear as twins begin to spend more time with other children and grownups as they would in preschool. Toddler twins may also have more conduct problems than singletons which could be caused by a need for attention or frustration caused by their language delay. Try to give individual attention to each child. Research has shown that parents tend to have less one-on-one interaction and less verbal exchanges with each individual twin than other siblings. Make sure to spend enough time with each child to help foster his/her language and social skills. What is important is how much speech interaction each twin receives individually. Remember that each twin is a unique person. While they may have a lot in common, any parent who has twins will tell you how different their personality and interests are. Whether you want them to be alike or different this will predominantly decided by the twins themselves. Make sure you respect their individual differences as well as their similarities. Offer enough social interaction with other children. While twins do tend to play together more than with other children don’t panic on forcing them to interact with other children. Studies have shown that the close relationship twins share does not interfere with their relationships with other children at school. Twins have even been reported to be less selfish and friendlier at school. Make sure you provide your twins with the normal range of social experiences for their age. Spousal and family support. It can be difficult to divide your attention between two children of the same age at the same time. Try to provide each twin with some undivided exclusive attention with each parent or with close family members like a grandparent. Remember that mothers and fathers play important and unique roles in their child’s development. 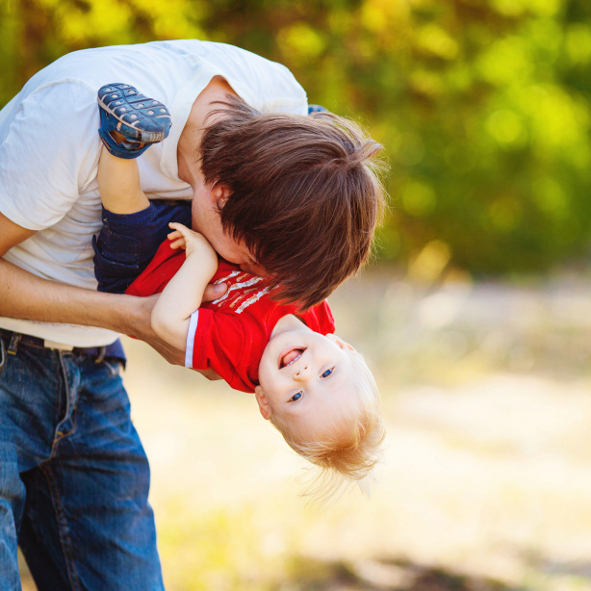 Fathers’ play time is just as important as mothers’ care and attention. The daunting question as children start to enter preschool. Should we keep them in the same classroom because they are so close? Or should we separate them so they can be independent? Unfortunately the answer is not clear cut. What we do know is that placing twins in different classes is associated with better form of speech and stopping stuttering. However, like all children each pair of twins are different and within each pair each twin is a unique child. With that in mind, whether to separate or place in the same classroom should be handled on a case-by-case basis depending on the children’s needs and personalities. Lytton, H. & Gallagher, L. (2002). Parenting twins and the genetics of parenting. Handbook of Parenting: Children and Parenting. M. H. Bornstein (Eds). London: Lawrence Erlbaum Associates.